BAOZHITANG was established in 1987 with a focus on the use of TCM in releasing aches and pain. Baozhitang provide various kind of services including acupuncture, cupping, Gua Sha, physiotherapy, orthopedic, medicine and other specialities. 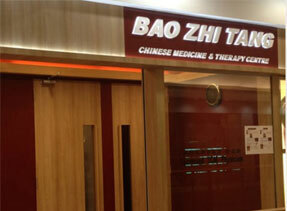 By providing professional TCM services, Baozhitang has achieved outstanding success in treatment of aches and pain. Innumerable patients have received our first class service and relieved their diseases. BAOZHITANG also imported advanced medical equipment and complemented the new technology with traditional Chinese medical treatment methods. As a result, Baozhitang had received reputation in the TCM sector. The scope of the treatment for pain of Baozhitang includes soreness of waist and backache, lumber muscle pain, arthritis, headache, exhaustion syndrome, office syndrome, sports injury, cervicalspondylosis, and so on. We, Baozhitang will continue to aim to be the best solution to patients facing pain, soreness, & achenes. Mr Tan has more than 30 years of experience in TCM. He graduated from the Singapore College of TCM. In 2004, he was nominated as one of Singapore's Outstanding TCM Physicians. Mr Tan's area of specialization covers allergic rhinitis, sensitive skin, coughing, asthma and other respiratory complaints. He also good at treating tendon and bone problems such as shoulder, neck, waist, numbness, sprains etc. Mr Tan is now still doing academic research on TCM and will keep on improving his medical skill. Mr Han Tong Siew is a physician with more than 30 years of experience. He is registered with the Singapore Traditional Chinese Medicine Practitioners Board. His expertise is in general medicine, acupuncture, mental depression, insomnia, and sub-health conditions of workers. “This is a very satisfying job, I am glad that I'm able to help patients with their health conditions using acupuncture and chinese medicine” said Mr Han.